Why just go out to dinner, when you can share everything that goes into making it? Experience all the laughter, fun and memory makers that happen before the food ever makes it to the table. Uncorked Kitchen was born from the belief that a place where all walks of life are invited to come and share the joy of food in the making. Working side-by-side with professional chefs to transform amazing ingredients into a meal that is ultimately enjoyed by sitting down together and enjoying food, friends and conversation. Owner Chef Eric Robbins explains to the group what Uncorked Kitchen is all about. Owners Katie and Eric Robbins have created this amazing venue, that is part cooking school and part wine bar and small plates eatery, where you can learn to cook and enjoy a glass of wine watching an amazing sunset over mountains with one of the best views in Denver!! So whether you are there for date-night, or a kids cooking class or a fun corporate team event based around the TV show Iron Chef, all the classes revolve around a themed menu and led by a professional chef instructor. 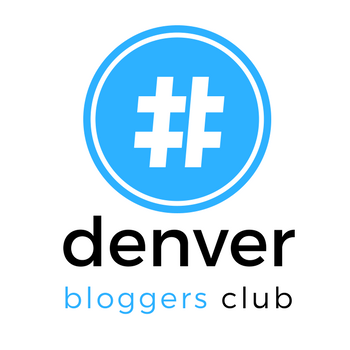 This past weekend the Denver Blogger’s Club had the experience of learning all about this amazing place. Chefs Eric Robbins and Albert Gonzales led us in the preparation of our lunch, which consisted of braised chicken with herbs and roasted squash with cinnamon with a yogurt sriracha sauce. Yummmmm! Chef Albert showed us how to peel garlic, cut onions, chop herbs and braise chicken. Group members had a chance to brush up on their prep techniques and learn a few new tricks. I learned quick a few new things, DID YOU KNOW the brown bits of food stuck on the bottom of the pot after sauteing meat actually has a name? It’s called FOND, who knew! After we did all the chopping, cutting, roasting and braising of our food, we sat down to enjoy the results of our time in the Uncorked Kitchen. Rachel Nicols of The Fond Life, chatted with us about food styling and plating, giving us ideas on how to make our food look like works of art! One of the reasons I have gravitated towards specializing in photographing food, is the amazing amount of creativity that not only goes into food preparation, by how it gets presented to us before we eat it. Whether I am photographing the food or enjoying a good meal, I have learned that we eat with our eyes first, and how something is presented to us in a photograph or on our plate plays a lot on how we taste things. Our kitchen at Uncorked Kitchen was a lighting nightmare to say the least. We had an abundance of amazing natural light, but as we moved into late afternoon, that light became harsh and powerful. We also had competing light sources from above, with warm yellow lamps that put a strange yellow cast on food. And where the cooking stations were positioned, it was dark, so the lack of light became an issue. LESSON: Natural, filtered daylight shows the best side of food, BUT you don’t always have that light source available to shoot. Try to eliminate competing light sources and always have an additional light source to help brighten up dark locations. The best camera is one you have with you! I decided to bring 3 cameras with me on this outing. I had my Canon 7D and tripod, a Sony A6000 and my iPhone 7. My final images came from all 3 cameras. I love my Canon for the quality and sharpness of images, but I hate lugging around my 50-pound camera bag and tripod, which is not always convenient. The Sony A6000 is light and portable and takes amazing pictures. At Saturday’s event things were always moving, so I placed that camera in auto-mode and it was convenient and easy to capture anything that was going on in the kitchen. The iPhone 7 camera is terrific and sometimes it was just easy to whip out the cell phone and snap a picture. LESSON: Having an expensive camera and all the gear doesn’t necessarily guarantee you are going to take good photos. The camera you have in your possession and knowing how to use it effectively is ultimately the best camera. If the final image is amazing, it doesn’t matter what device you shot it with. After all, in the end that’s all that matters are the PICTURES YOU CAPTURED! Capturing well lit, interestingly stylized plates and a nicely placed scene that draws your viewer in, takes a lot of skill, knowledge, well thought out props, time and effort. These days its seems everyone has a digital camera, and can snap photos at a moments notice. We have all seen countless examples of people who take out their cell phone and snap a picture of their dinner before devouring it. But let’s face it, there is a HUGE difference between a snapshot and an image worthy of the cover of a magazine. This image was shot with my iPhone 7, in a natural light setting. LESSON: At Saturday’s event, I took a lot of really nice snapshots. The images I put thought, planning and effort into capturing a gorgeous, appetizing food scene, is MUCH different that pointing a camera at a plate of food. From the color of the plates and napkins, to the surface I place them on, to the position of the light and what is the ultimate focus of my photograph, demands time, effort and skill in knowing how to work a camera, light a scene and process the final images. Food photography isn’t necessarily a point-and-shoot world. To learn more about this newcomer to the Denver food scene or to schedule an event at Uncorked Kitchen, visit them online at www.UncorkedKitchen.com. Uncorked Kitchen has graciously given us a discount coupon to share with all of you. Use code “DenBlog2017” at checkout for 15% off any Uncorked Kitchen adult event, date night, family event or kids’ classes. It is a one-time use coupon and expires on 5/31/17. Enjoy! Our stations were set up and ready for us to begin preparing our lunch. Jamie from South on Broadway learns to coat squash without utensils. Chef Albert from Uncorked Kitchen explaining the roasting process. Uncorked Kitchen – Food Styling and Fun!